In around 2 weeks I will no longer be wearing the ‘first time buyer’ badge any more but instead will be proudly exchanging said badge for one which reads ‘home owner’. The whole process of buying my first home has been long and in places complex (especially as no one ever really explains the process to you and there are so many requirements and legal terms along the way), but I’ve done it. For the past month I’ve been very carefully selecting furniture and all of the things I’m going to need for my new place – I’ll admit that I’ve over spent on a few select items that I really wanted, but everything has been within my budget. The one thing that has really surprised me though has been the decisions that have been presented in selecting a broadband supplier and as a knock on affect the selection in a wireless router. At the moment, living at home, we have a Virgin Media cable service which has never once let me down, is priced perfectly and I’ve been able to purchase and select the 802.11n router I wanted – the set up couldn’t be more perfect. 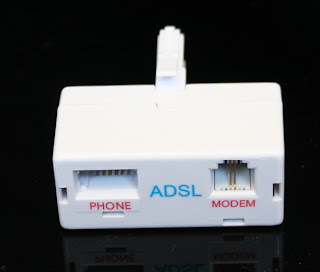 My house however is outside of the Virgin Media Cable area and as a result I’ve been forced to go down the ADSL route, which of course means that I will need to an ADSL compatible router – which is fine, I don’t mind spending the money. Now, I was on the verge of signing up with BT Broadband, who would have sent me a free 802.11n “Home Hub” router, however they can’t get the router hardware to me before they are able to connect up the phone line and activate the service. This means that my wireless Squeezebox Radio and Duet won’t play music from my server, which in turn won’t be able to pick up any tracks from my NAS! I can already hear you shouting ‘why is that such a problem?’ – well, because my Squeezebox is also my alarm clock to wake me up in the morning. Now I can use my mobile phone in the meantime, but it’s a compromise solution in what should be an easy request for BT to fulfil. Every month I pay a mobile phone contract that gives me a certain number of minutes – which I never get close to reaching. In order to have ADSL broadband of any description I have to have a phone line coming into my house – which I’d, have to pay line rental for - yet cable customers can have pure (and in most cases unlimited) broadband without the added expense of a phone line, which I don’t want or need thanks to the free minutes I get from my mobile contract. In my opinion one of two things needs to happen here; either the cable companies need to expand their network (unlikely due to the costs involved), or they need to make their ADSL options more attractively priced and available with or without a line rental cost. Hell, even a cheaper line rental for customers who don’t want to actually plug in a phone to their line would be far more beneficial than what is currently on offer. Yes I’m one of those annoying customers that knows exactly what they want, yes I want the cheapest yet most reliable broadband connection available and yes I’m going to have to compromise and pay a lot of money for something I don’t actually want because no one can offer me exactly what I want. It’s a no-win situation for the customers, yet a huge win for the phone companies.